June 14, 2018, 5:00 a.m. 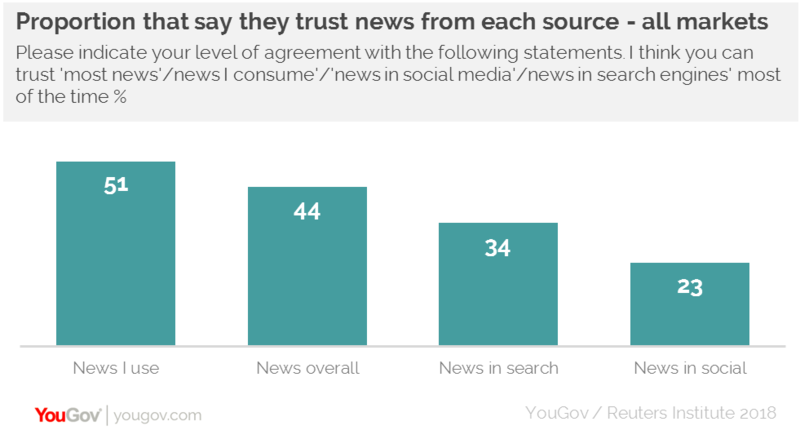 The future for online news publishers is unclear, new analysis of YouGov data shows. The seventh annual Digital News Report from the Reuters Institute for the Study of Journalism at the University of Oxford is based on YouGov research among 74,000 people across 37 countries. The significant increase in digital subscriptions in the United States (the so-called Trump Bump) seen last year has been maintained, while donations and donation-based memberships are emerging as a significant alternative strategy for publishers in Spain, the UK, and the United States. These payments are closely linked with to those holding particular political belief (to the left) and come disproportionately from the young. YouGov research suggests that approaching a fifth (18%) of Britons might be prepared to pay in the future if publishers are unable to cover costs in other ways..
Nordic countries have seen significant increases in the numbers paying for online, with Norway reaching 30% (+4% on last year), Sweden 26% (+6%) and Finland 18% (+4%). All of these countries have a small number of publishers, the majority of which are pursuing a variety of paywall strategies. By contrast, more complex and fragmented markets in Europe have seen little subscription growth despite increased attempts to charge for some online content. The data also reveals that two-thirds (68%) of respondents are either unaware of the problems of the news industry or believe that most news organisations are making a profit from digital news. Those members of the public who are aware that most digital newspapers are making a loss are more likely to pay for a news subscription or give a donation. Over half (54%) of those surveyed state that they are either “very” or “extremely” concerned about what is real and ‘fake’ on the internet. This is highest in places where polarised political situations combine with high social media use – in countries such as Brazil (85%), Spain (69%), and the United States (64%). It is lowest in Germany (37%) and the Netherlands (30%) where recent elections were largely untroubled by concerns over ‘fake’ content. The data shows the rise in the usage of alternative platforms, such as WhatsApp, Instagram, and Snapchat, for news – particularly among younger groups. The use of WhatsApp for news has, on average, tripled in the last four years to 15%, but tends to be much higher in countries like Malaysia (54%) and Turkey (30%) where it can be difficult to express political views on more open networks. 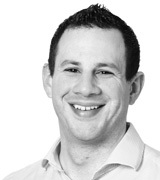 Contact us now for a consultation from our dedicated team of sector experts.